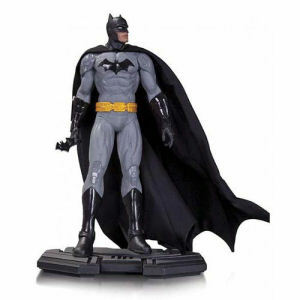 We have Just Sold out of DC Comics Icons Batman 1/6th Scale Statue. Not to Worry! Fill in the Notify me When Available and you will be the first in line for our restock of DC Comics Icons Batman 1/6th Scale Statue !! From the DC Comics Icons collection by DC Collectibles. DC Comics Icons Batman 1/6th Scale Statue. Individually numbered limited edition of 5200 pieces. Batman statue stands approximately 10.25 inches tall.